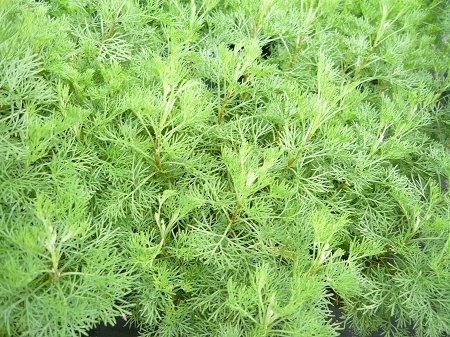 Camphor Southernwood (artemisia camphorata) Strong camphor/southernwood scent. Finely divided lacy green leaves. Evergreen. Said to repel insects. Fragrant plant can be dried and is useful in potpourri, sachets, etc. Perennial zones 2-9. Live starter plant in 3 inch container. Arrived in wonderful condition. Can't wait to plant it! Thank you!